Travelling on any subway system can be an ordeal for some passengers. It seems unnatural, abnormal. But are our fears completely irrational - or are they justified? 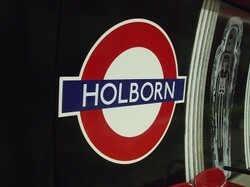 The London Underground system, and subways the world over, are technological wonders used by millions of people daily. Yet descending beneath the surface of the earth is subconsciously regarded with unease. Travellers may mask their symptoms of anxiety by conforming to acceptable forms of social behaviour in public. But in our own underground of the unconscious, stress and anxiety are culturally embedded. Fear of the underground in general, not just travelling on the subway, seems to be a collective cultural anxiety. In many societies these regions are known as the Realm of the Dead, Hades, Hell, the Underworld - a place from whence there may be no return. 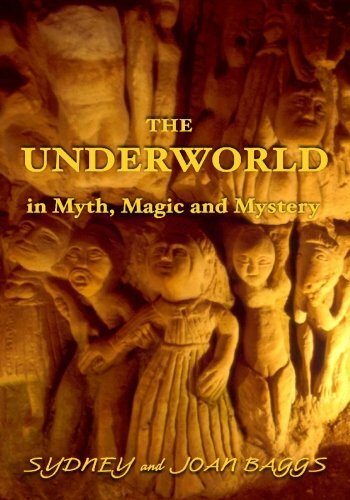 Humans have always been fascinated by mythological tales of heroes and heroines entering the underworld, often to seek answers to their misfortunes, but often finding only tragedy. Orpheus descended into the Underworld to be reunited with his wife Eurydice. Despite entrancing the dead with his singing voice, his enterprise failed tragically. 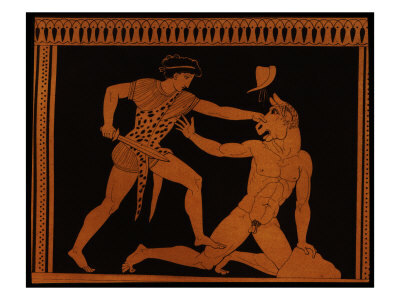 Theseus ventured below ground to tackle the Minotaur. He lacked the mythical equivalent of our wonderful London Underground Map to guide him to the monster's lair - just a ball of string thrust into his hand by a girl who loved him. In 1918 in the New York subway, this myth inspired the use of multi-coloured 'strings' painted on subway walls to guide passengers to their destinations. 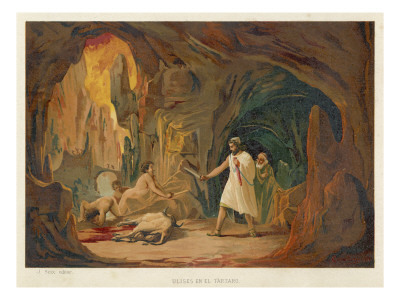 Odysseus, in order to return home, visited the Underworld to gain valuable advice from the dead. Aeneas travelled to Hades to speak to the spirit of his dead wife, Dido, but her bitter ghost refused to acknowledge him. To modern sensibilities such myths seem irrelevant.. Yet in 1872 printmaker and engineer, John Martin, published his illustrated version of Milton's Paradise Lost. Milton's poetry gives a vivid description of the bridge from Earth into Hell. This link will give you an idea of the impact of Bridge Over Chaos (which seems to be under copyright on the internet) whilst the following video shows many of the dramatic illustrations to Paradise Lost that Martin created, including the Bridge Over Chaos. Martin's work was not purely a product of his creative imagination. 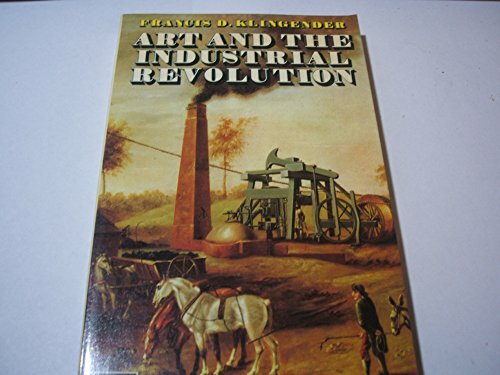 His work was deeply influenced by perfectly rational engineering engravings he had seen, which anticipated the completion of a tunnel under the Thames. The engineer, Marc Isambard Brunel, was constructing just such a subterranean tunnel which would eventually allow the public to cross by foot under the Thames from Rotherhithe to Wapping. What Martin understood was the psychological effect such seemingly practical undertakings had on the public imagination. 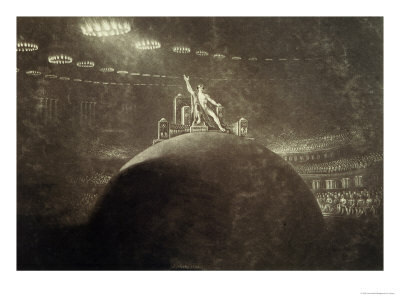 As mentioned above, John Martin was not only an acclaimed artist. He was also an engineer and reformer. His dark, apocalypic vision of an underground world touched the contemporary imagination. 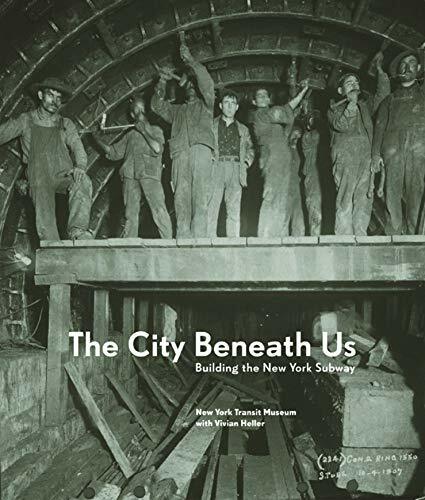 In the wake of the Industrial Revolution great feats of urban engineering had left some sections of the public with a sense of fear and anxiety. This sensation of being overwhelmed was accompanied in some quarters by outrage that men should trespass into the Underworld. For them Hell was real. Nevertheless, the Thames Tunnel (known by cynics as The Great Bore), opened in March 1843 and for twenty-three years was a subterranean pedestrian crossing point from one side of the Thames to the other. Despite having been the scene of occasional banquets and orchestral concerts for the rich, ultimately it became the haunt of the dispossessed, known by them as 'The Hades Hotel'. Today one section of it is part of the London Underground Tube system. For a fascinating day out visit The Brunel Museum with opportunities to visit the Thames Tunnel on certain dates. 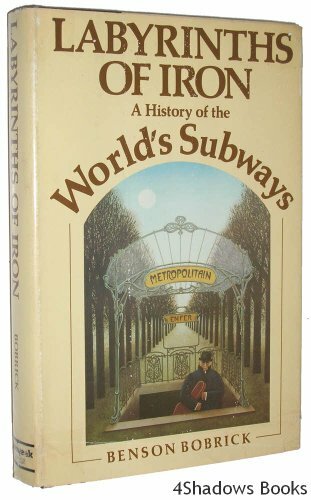 Compared to our 19th century forebears, Londoners and commuters the world over may appear nonplussed about travelling on the Underground. The exploits of heroes and heroines of antiquity hardly seem relevant compared to the relentless, boring routine that is the daily journey under the streets of the capital. After all, during the Second World War Londoners were happy to snuggle up together on Underground platforms whilst Hell raged above. 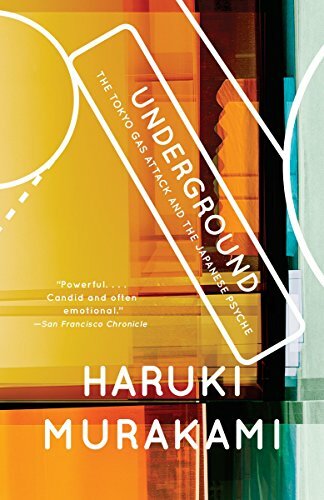 Yet relatively recent terrorist events on the London Underground and the Japanese metro can lay bare ancient fears that were once buried deep. When the journey is over and commuters finally ascend towards the light, feelings of sub-conscious relief are no less intense than those of any mythical hero. After all, these 'heroes' only endured the journey once - most commuters go through hell twice a day. It never occurred to me that the BART system when underground in SF. Wow! Just contemplating that gives me the creeps in earthquake country! Maggie! Gosh, going under SF Bay is very similar to how we Brits feel when going under the Channel Tunnel on the way over to Paris, Brussels etc. ! Loads of water above you.... (no earthquakes yet though). We humans are pretty amazingly adaptable - but no wonder all these myths grow up! thanks for your really interesting post! I grew up near Los Angeles, where cars were king, and the very idea of traveling underground was heresy! Today I'm near San Francisco, and BART is a lifesaver! I have to admit, the first time I went under the SF Bay, I nearly went in to a panic attack. The thought that all that was between me and so much water was a tube... in earthquake country... was unnerving! 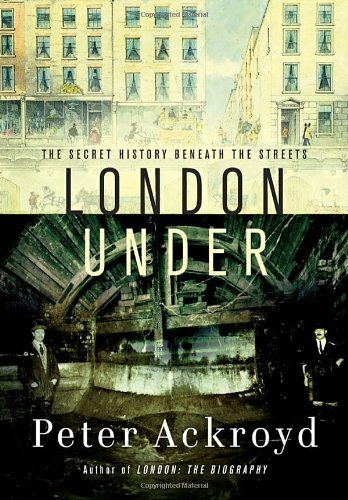 I've never worried too much about the underground - at least not until I read this! I used to ride the Paris Metro twice a day (and I prefer it to the London Underground if I'm honest). Thanks Kimbesa! I agree, me too. Good thing I didn't know about all this before I rode the subway for the first time...thanks! Hello cazort - Thanks for this post. I too love public transport and have never learned to drive. Here in London the tubes are very overcrowded during the rush hour - fortunately I don't have that problem any more - but generally speaking, they are excellent. Each line seems to have it's own personality - central line bossy with a lot of responsibility, Piccadilly line rather Edwardian and chugs along, Circle line steadfast and can be sat in all day, Northern Line a bit gloomy etc. etc. I went to Moscow and the subway interiors are beautiful, but the trains and the platforms themselves were rather dark and gloomy - I preferred London! And we have some beautiful art deco stations here which are very well preserved. Yes - public transport is pretty marvellous! The subways where I live in Philadelphia are loud and dirty so I can understand how people would be afraid of them. It was interesting though to read this and see the rather severe scope of the fears that people had! I personally love public transportation, but I wish that some subway systems, like SEPTA in Philadelphia, or even the NYC MTA, would do a little more to make the ride quieter, cleaner, and brighter. The aesthetics of riding many subway systems aren't exactly the most warm and inviting, and I think making them more inviting could increase ridership a lot, and I think that would be a good thing since subways take cars off the road, reducing energy usage and lessening pollution and traffic congestion, making the streets quieter and safer. Hauntings on the Tube are hardly surprising. Parts of the London Underground are the oldest in the world; and some passengers never got off.